55th National Conference - Advertise! Exhibit! Sponsor! Join members of National Association of Teachers of Singing and other voice professionals, teachers, students, collaborative pianists, doctors, scientists and other voice enthusiasts for five days of networking, master classes, technology and information sessions, pedagogy and voice science discussions, competitions, concerts, recitals, and so much more! More than 1,200 attendees from around the world will gather to celebrate the art of singing and increase knowledge for teachers. 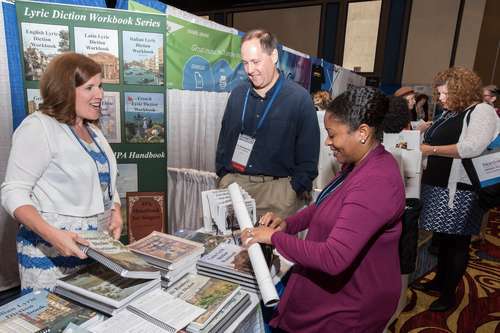 Make your plans now to join us at the Tropicana Las Vegas Hotel to exhibit at the NATS 55th National Conference. Take this opportunity to promote your products and services to more than 1,200 voice professionals and their students. RESERVE YOUR PLACE NOW FOR LAS VEGAS! Click on the form and download for Advertising, Exhibits, College Showcase and more. Save the form to your desktop, give it a new name with your company name, and fill it in completely. Then you can click on the Email link at the bottom of the form to send it back to us at info@nats.org. Click the online form below to get started. For Sponsorship Information and to register as a sponsor, click the online form below to get started. We have many sponsorship opportunities and can even create a special package for you! 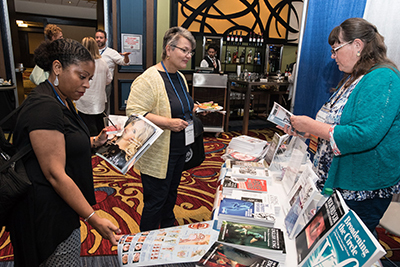 Sponsors have many opportunities to have their product and company marketed before, during and after our conference event with a variety of perks. Save the form to your desktop, give it a new name with your company name, and fill it in completely. Then you can click on the Email link at the bottom of the form to send it back to us at info@nats.org. Click on the online form below to get started. Questions or need more information? Please contact us at info@nats.org or by phone at 904-992-9101. We look forward to greeting you in Las Vegas! Refund & Cancellation Policy: Cancellation requests will be honored through March 15, 2018. The NATS Executive Office must be notified of your intention to cancel in writing at the following address: 9957 Moorings Drive, Suite 401, Jacksonville, FL 32257, or by email (info@nats.org). Notice may also be sent by fax to 904-262-2587. Cancellations are not accepted by phone; they must be in writing. All refunds are subject to an administrative fee of $75.00 USD. Refunds cannot be applied to subsequent events and will be issued after the event has concluded. Refund & Cancellation Policy-deadline is March 15, 2018.